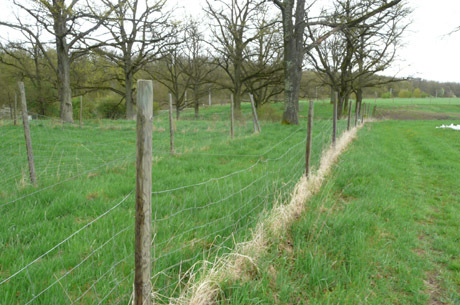 Restoration of a traditionally vineyard. 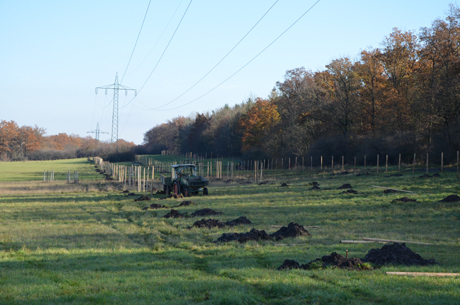 During the period of the project, grazing land covering approximately 18 hectares was created on the old common pasture at Hellmitzheim. 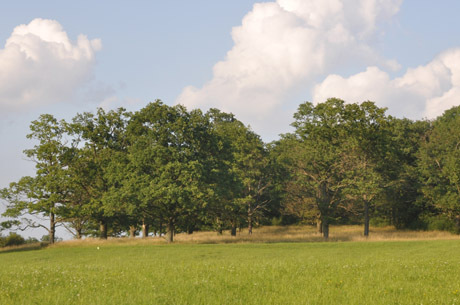 The lower common pasture overshadowed by large oak trees is already fenced. 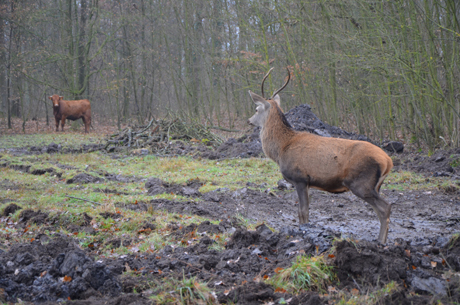 The animals can soon occupy the land. 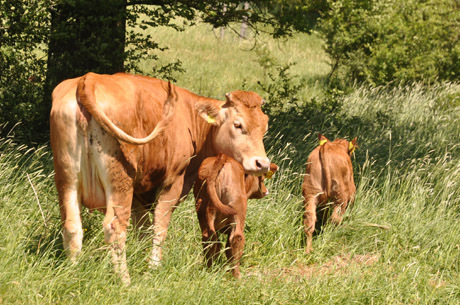 Four in-calf heifers are purchased. 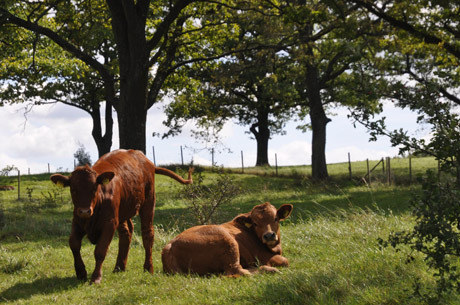 They gave birth to four calves in a cowshed in Hellmitzheim. The animals have been in the open since the end of May. The meadow infrastructure is expanded during the summer. The calves are coming on well. 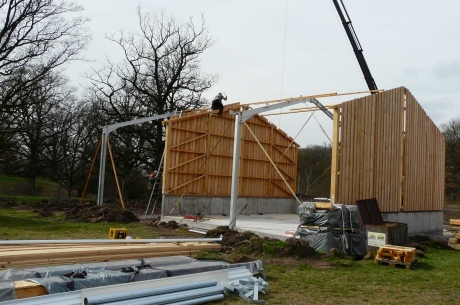 The upper common pasture is fenced during the winter and two animal shelters are built. 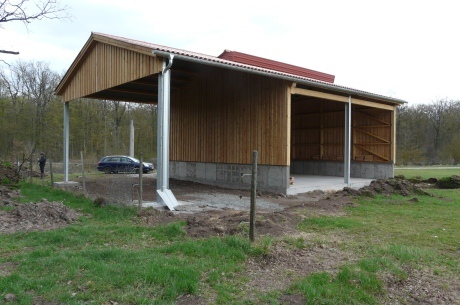 Progress on the construction of the shelter with storage space for hay already gives an impression of the size of the building which is designed for 15 adult horned cattle. 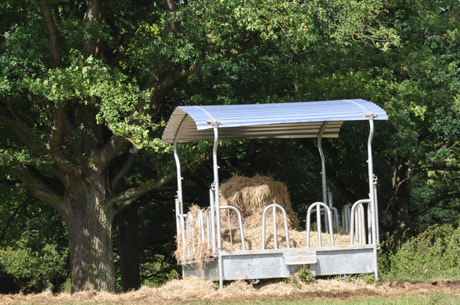 The finished shelter on the common meadow. 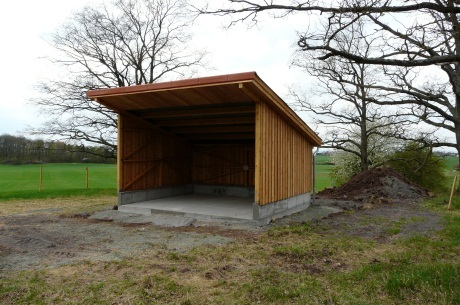 The finished deer shelter designed for up to 20 red deer. 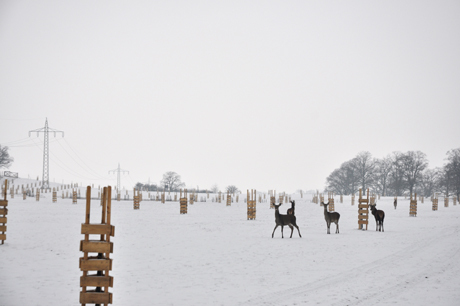 Red deer arrive at the new grazing ground. 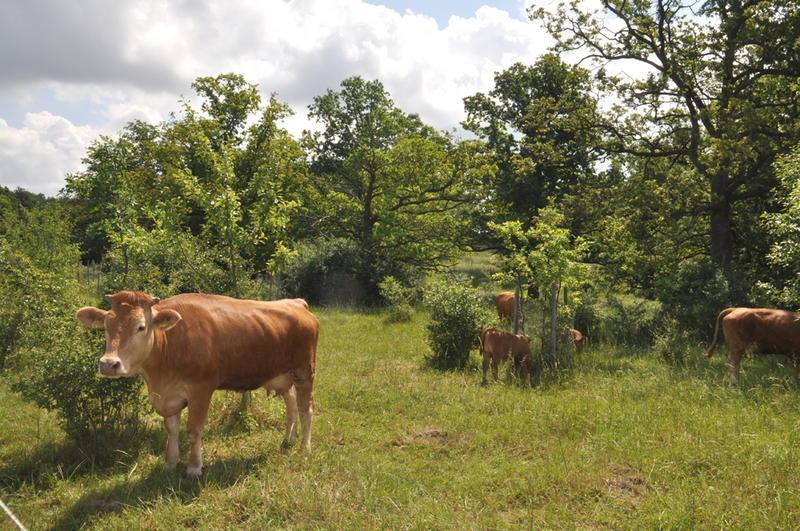 Planting during the creation of the new common pasture. 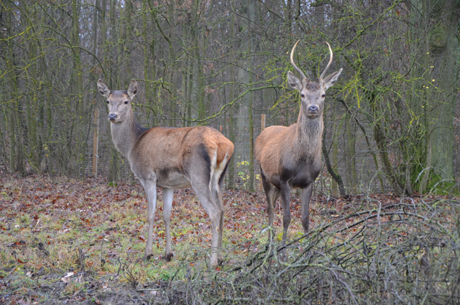 The red deer in their new home. 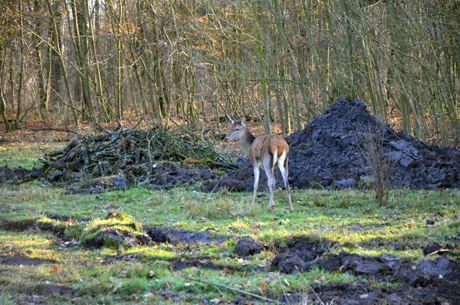 The deer and yellow cattle eye each other up cautiously. 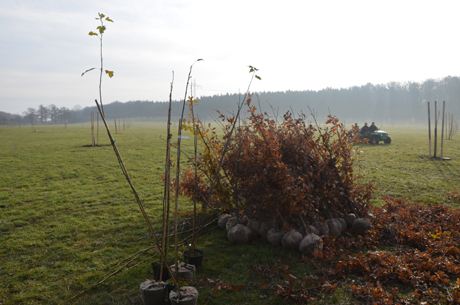 Planting the trees on the new common meadow. 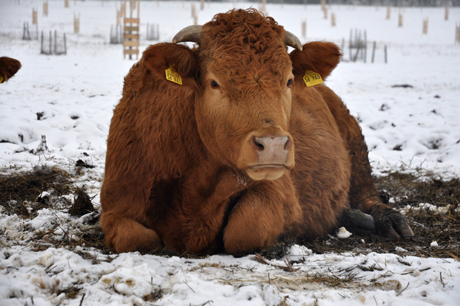 Yellow cow in the snow. The herd of yellow cattle in the winter. 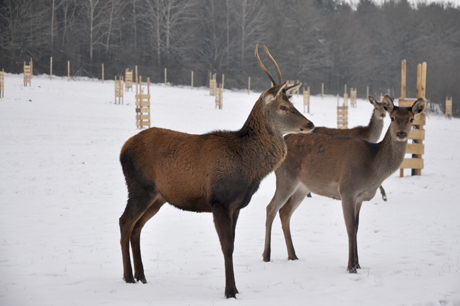 Red deer in the winter. The animals came through the winter well and now enjoy the early sunshine. 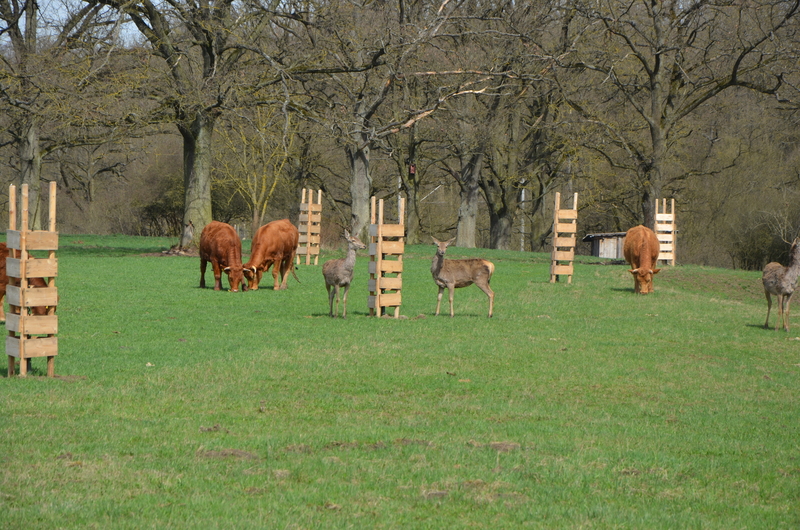 The new observation platform in the meadow.